Peel back the covering. Avoid getting your fingers stuck. Place the sticker on your bumper. First, you have to make your witty Connected Learning/CLMOOC saying! Use this Bumper Sticker generator site to create your own and then, of course, share the image with a friend. 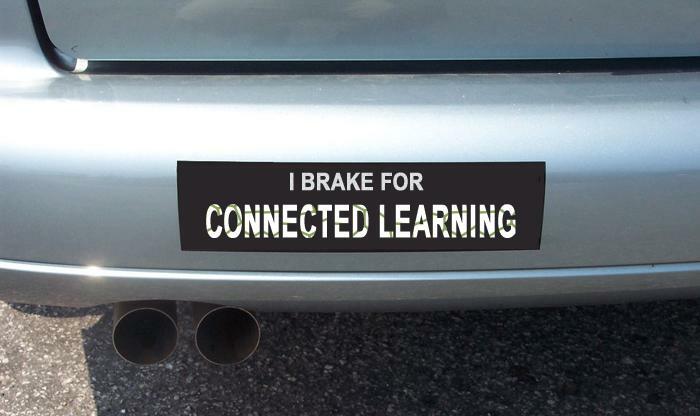 Put the virtual bumper sticker on your virtual vehicle and ride the information superhighway (do we still use that term?) with your message loud and clear.